I not so fondly remember spending time in my local dimly-lit gym counting bench press and pullup reps before moving to the “dreadmill” in the back corner where I’d stare at the nightly news while I ran like a hamster in a wheel. Occasionally, I’d glance down at the digital dashboard to see how many agonizing seconds had passed and curse quietly under my breath. It didn’t occur to me that fitness doesn’t always have to be the purpose for an activity. Rather, fitness can be a byproduct of doing the things that you already enjoy. When you enjoy being outside and make it a habit to get yourself out the door, it’s easy to get a workout in without it even feeling like a workout. My favorite part? Whether it’s a quick run at your local trail or backpacking across a vast canyon landscape, outdoor adventures are even more fun when you bring your friends. 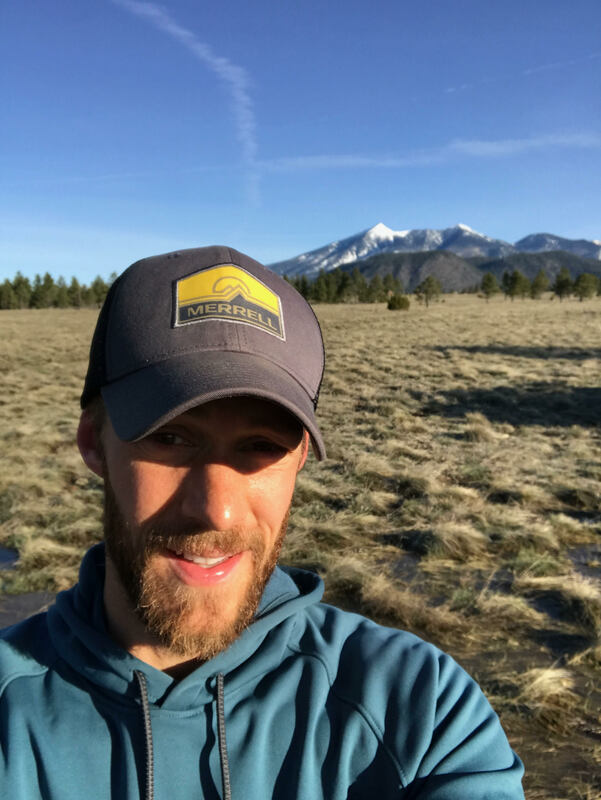 Your author takes a moment for a selfie on the Arizona Trail with Humphrey’s Peak in the background during a morning run in Flagstaff, AZ. Bonus views for miles from the top of Mt. 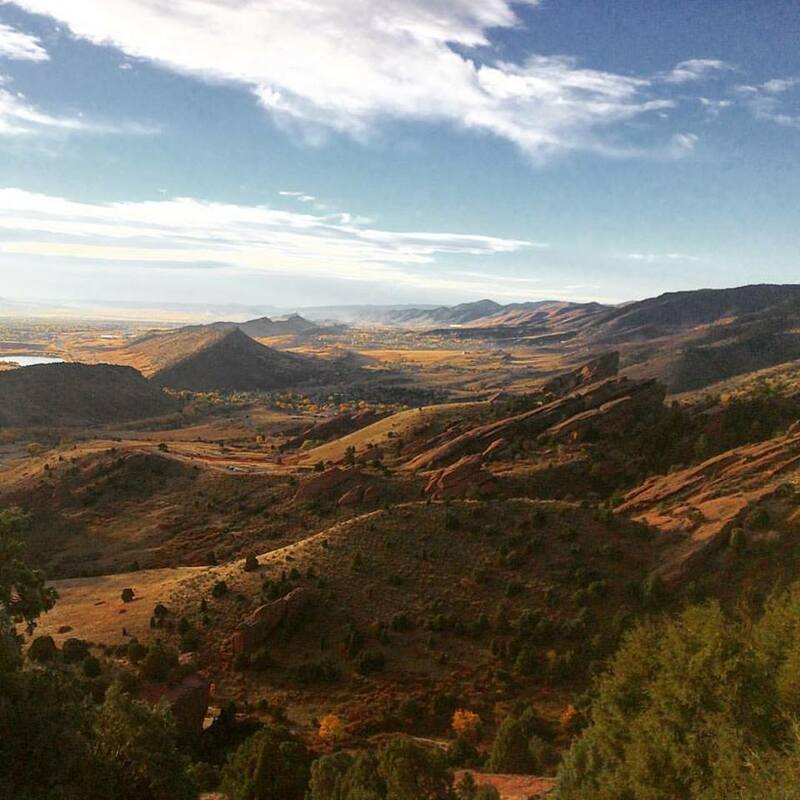 Morrison’s South Ridge Trail in Morrison, CO.
Getting a great run in is as easy as lacing up your shoes and heading to your favorite trail or park. Want to take it easy? Don’t be afraid to slow your run to a hike for hills or take a break to take in the sights and grab a sip of water. Enjoy yourself! If you want to really push yourself, run the hills as fast as you can with shorter hiking or jogging breaks between your harder efforts. Whether you are new to running or an experienced runner, hills are a great challenge that often come with the reward of bonus views. Don’t forget to consider your local park! We often take the places closest to us for granted, but many parks are wonderful open spaces that take on new significance when turned into a running destination. They often serve as a great, quick escape for those of us who don’t have immediate access to trails. Want to get competitive? 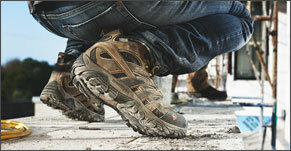 Take your annual race to the dirt. 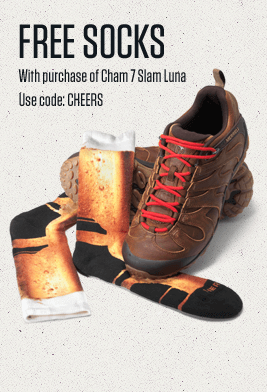 Find a local trail race to participate in rather than hitting the road this year. The trail running community is incredibly friendly and the races are a little more laid back than your typical road races. 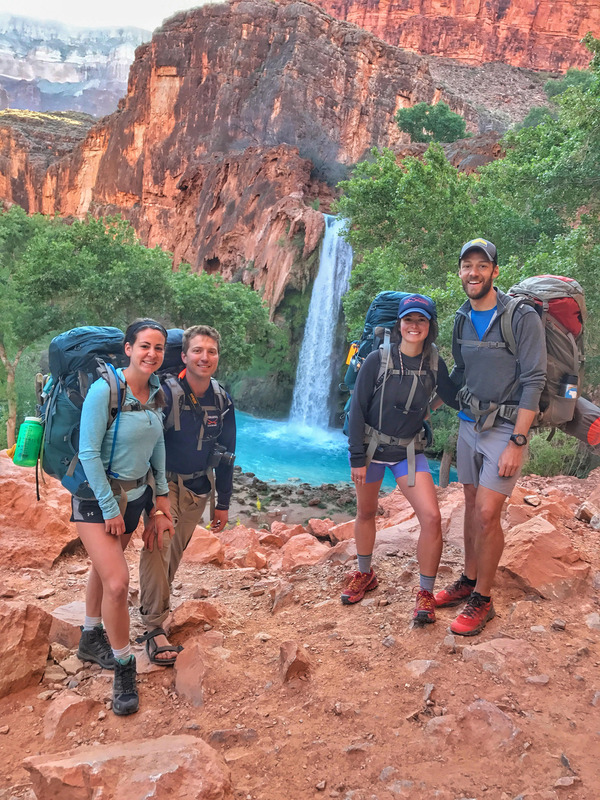 The author, Allison Dobbs, Luke Wolfe, and Kelsey Johnston at Havasu Falls during a 32 mile backpacking trip in the Grand Canyon. Of course, there’s nothing wrong with slowing down a bit. With a little planning, a pack, and your essential gear, you can carry your house on your back to some incredible locations. Nothing builds strong legs, core, shoulders, and all around endurance better than doing the hard work of carrying a heavy pack on uneven terrain. Of course, the work feels easier to manage when you are heading into remote canyons, backcountry campsites, or up to alpine summits. Colorado’s own Front Range Cross Country running group at the Behind the Rocks Ultra trail races. The only thing that makes hard work and beautiful places more enjoyable is being able to share them with friends. 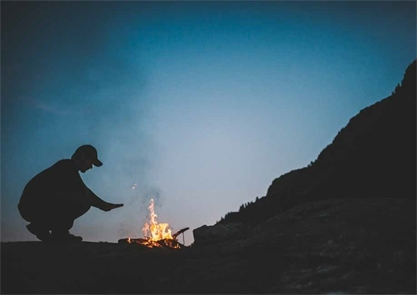 Trail runners, backpackers, and the outdoor community in general are full of fun loving, adventurous people with infectious enthusiasm for the places they play in. Consider finding local meetup groups in your area to learn skills, meet new people, and get new ideas for places to play. 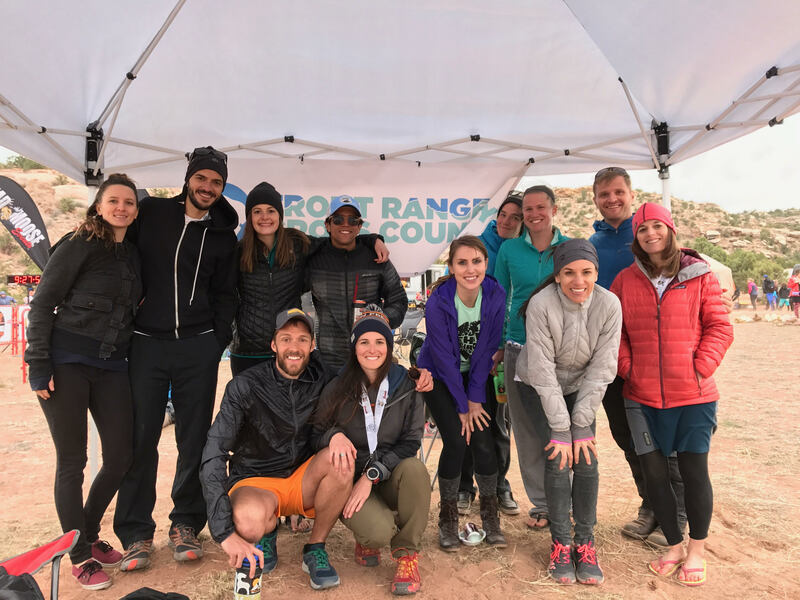 The community of trail runners I spend time with in Front Range Cross Country (www.frxc.org) have become a second family to me and are a large part of the reason I have become a better trail runner. Nature’s Gym is about getting outside, trying something new, and leaving your comfort zone behind at your old gym. Before you know it, your fitness will increase as a natural byproduct of your new outdoor adventures and you’ll have more fun in the process. 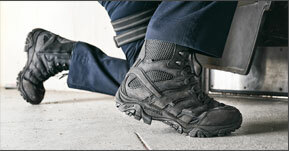 So lace em’ up and start thinking about your fitness outside “the box”!